The police have identified two of the three victims involved in the fatal car accident that took place at approximately noon, on Monday Dec 18. The three victims involved in the fatal car accident on Monday in Tabernacle were teenagers. One was an 18 year-old man and the other two were sixteen-year old girls. According to family members, one of the female victims was pregnant. Whether or not the third victim was pregnant has not yet been confirmed by the authorities. Two of the victims have been identified as Xzavier Wells, 18, of Burlington City, and Nichole Ross, 16, of Shamong Township, according to Sgt. Lawrence Peele, spokesman of the New Jersey State Police. The third victim remains unidentified at this time, but it is reported she was the girlfriend of Wells. Just before noon on Monday, the police responded to the report of a vehicle stolen from the Pic-a-Lilli Inn Restaurant in Shamong. The car that was stolen, a green 1999 GMC Yukon, was spotted by the troopers patrolling Route 206. Upon seeing the vehicle the troopers decided to follow it. It was then that the driver, Wells, started driving erratically in an attempt to evade the police. 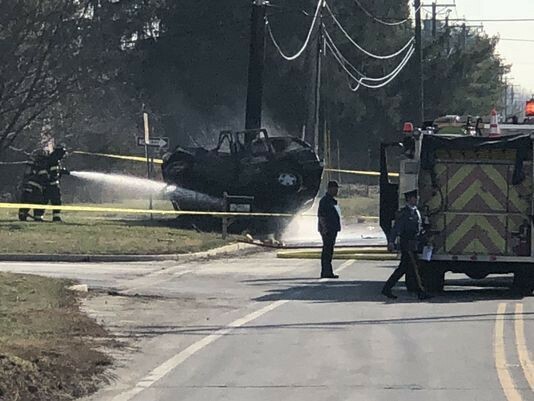 After a brief chase the vehicle crashed into a utility pole, at the corners of Flyatt Road and Carranza Road, and caught fire. The police are still investigating this incident.